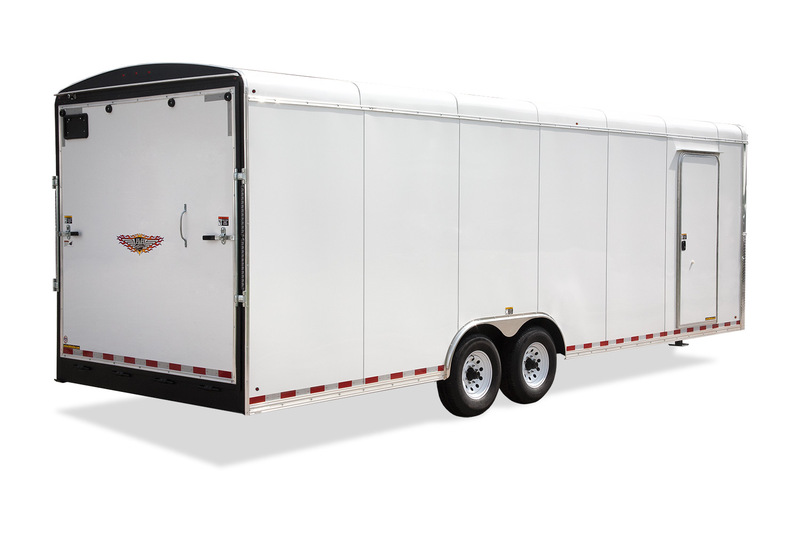 The H&H TOPLINE® series sets the bar for standard features. 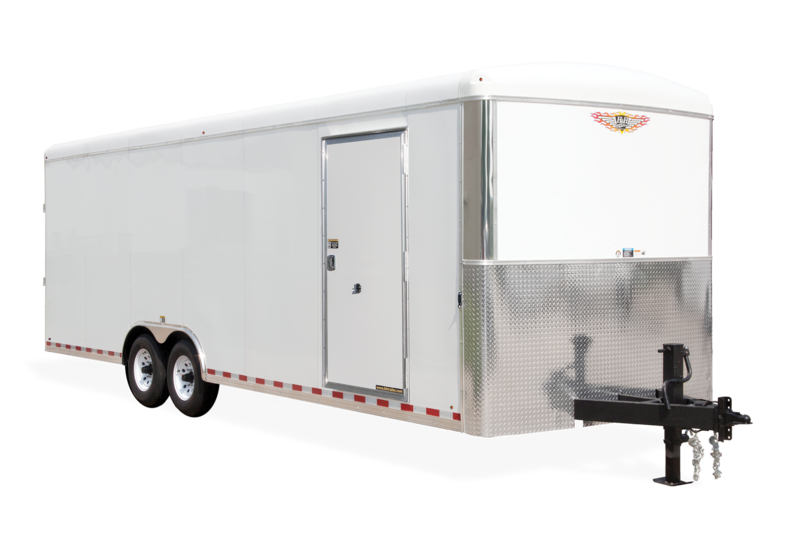 This premier H&H car hauler provides professional strength and trusted reliability to ensure your prize possessions make it to work or play. 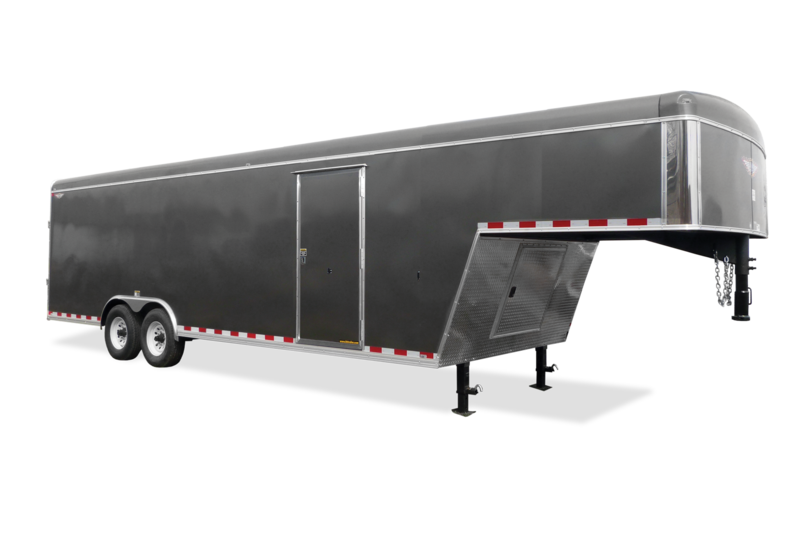 The full tubular steel construction set on 16” crossmember spacing creates the commercial grade construction best in the line up. 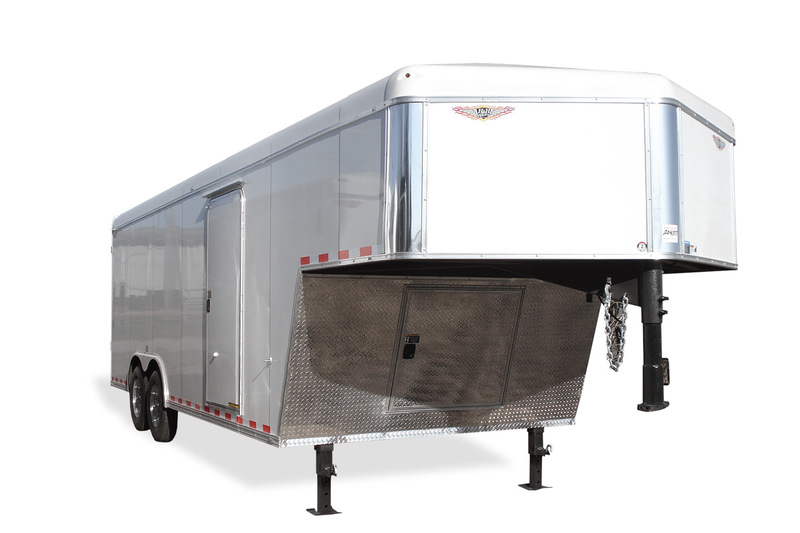 Continuing with our smooth sides, the Topline includes.040 aluminum exterior walls, polished aluminum corners and 24” ATP Rock guard. 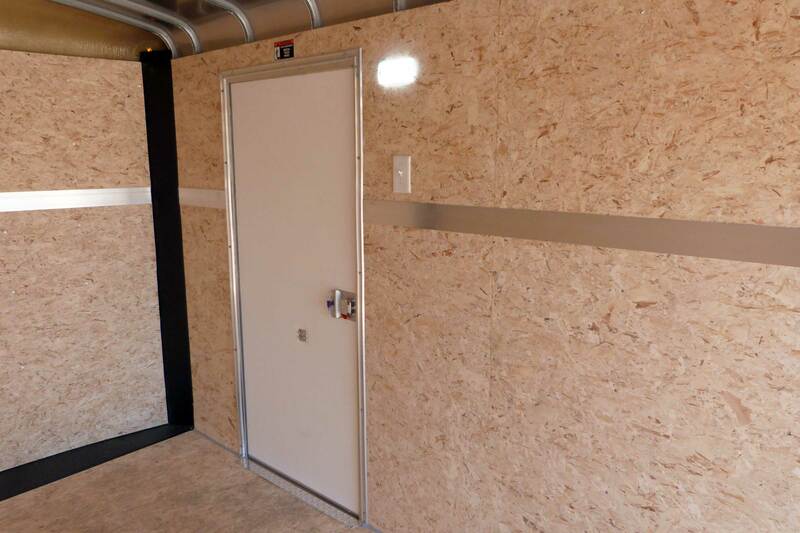 Not to mention, the standard Posi-VentTM system which helps eliminate dust build up to keep your cargo clean. 101" x 20' GN 7'-3"
101" x 24' GN 7'-3"
101" x 28' GN 7'-3"
102" x 30' GN 7-3"
101" x 20' GN 35"-43"
101" x 24' GN 35"-43"
101" x 28' GN 35"-43"
102" x 30' GN 35"-43"
101" x 20' GN 15"
101" x 24' GN 15"
101" x 28' GN 15"
102" x 30' GN 15"
101" x 20' GN 68"
101" x 24' GN 68"
101" x 28' GN 68"
102" x 30' GN 68"
101" x 20' GN 36"
101" x 24' GN 36"
101" x 28' GN 36"
102" x 30' GN 36"
101" x 20' 76 1/2"
101" x 24' 76 1/2"
101" x 28' 76 1/2"
101" x 24' GN 76 1/2"
101" x 28' GN 76 1/2"
102" x 30' GN 76 1/2"
101" x 20' GN 95"
101" x 24' GN 95"
101" x 28' GN 95"
101" x 20' GN 28'-4"
101" x 24' GN 32'-4"
101" x 28' GN 36'-4"
102" x 30' GN 40'-4"
101" x 20' GN 102"
101" x 24' GN 102"
101" x 28' GN 102"
102" x 30' GN 102"
101" x 20' GN 109"
101" x 24' GN 109"
101" x 28' GN 109"
102" x 30' GN 109"
101" x 20' 98 1/2"
101" x 24' 98 1/2"
101" x 28' 98 1/2"
101" x 20' GN 98 1/2"
101" x 24' GN 98 1/2"
101" x 28' GN 98 1/2"
102" x 30' GN 98 1/2"
101" x 20' GN 82 1/2"
101" x 24' GN 82 1/2"
101" x 28' GN 82 1/2"
102" x 30' GN 82 1/2"
101" x 20' GN 83"
101" x 24' GN 83"
101" x 28' GN 83"
102" x 30' GN 83"
101" x 20' GN 24"
101" x 24' GN 24"
101" x 28' GN 24"
102" x 30' GN 24"
101" x 20' GN 19'-6"
101" x 24' GN 23'-6"
101" x 28' GN 27'-6"
102" x 30' GN 31'-6"